Baby teeth are worth more than what the tooth fairy leaves under a child’s pillow. According to data from the U.S Centers for Disease Control for a five year period ending in 2004, it found that 28 percent of all children age two to five had decayed teeth, and 23 percent of those children were receiving no treatment for tooth decay. This decay is known as early childhood caries, ECC, and is now the most common cause of chronic disease. “The idea is that the mouth is the gateway to the body. If the mouth is not healthy, the rest of the body isn’t either,” said Leonard Smith, pediatric dentist, M.A in Science, DDS, Fellow Royal College of Canada, Diplomat of the American Board of Pediatric Dentists, founder and president of Healthy Mouth Healthy Child. ECC can be caused by the most obvious, not keeping up with basic dental care of children’s teeth, such as avoiding brushing and flossing after eating and drinking. However, the most surprising cause of ECC is toxic stress which can interrupt the neurodevelopment of a child, therefore making them prone to infection, heart disease, diabetes, stroke and preterm delivery. “I also believe, pure speculative, half a cup of puss a day- that could have an impact on their gut and may be a correlation to immunes,” stated Dr. Smith. Toxic stress is also caused by chronic pain from the tooth decay. “Very sadly, people ignore the mouth- only baby teeth, they are going to fall out,” said Dr. Smith. Furthermore, toxic stress can be caused by dysfunction in inter spousal relationship, such as in the case of domestic violence. According to Smith, women that are involved in relationships where there is domestic violence tend to feed a fussy child a bottle filled with sugar based drinks such as Kool-Aid, coke and even alcohol in order to sedate the child and keep him or her from waking up their spouse with loud cries. Over a period of time, the sugar can cause tooth decay in the child. “A certain gut feeling, I ask whether there is dysfunction in inter spousal relationship,” said Dr. Smith regarding his experience with parents and the treatment of children with ECC. Other causes of toxic stress include child abuse, neglect, sleep deprivation, malnutrition, enhanced obesity and learning disabilities. Economic issues also have an impact on ECC, which is why Dr. Smith hopes to raise public awareness through a broad spectrum by talking to families, pediatricians, “the whole gamma of anyone who interacts with the families”. His goal is to make people aware of how important baby teeth are and teach preventative measures that families can take to minimize the risk of ECC. “Not selling products, just trying to sell awareness,” stated Dr. Smith. Dr. Smith suggests avoiding feeding a child a bottle with sugar at night, also to wash the bottle well after each use. Furthermore, women who are pregnant should also be taking care of their teeth. Mother’s with gum disease are prone to have a preterm delivery due to cells developing an immune response causing early contractions. SOURCE: Leonard Smith, pediatric dentist, M.A in Science, DDS, Fellow Royal College of Canada, Diplomat of the American Board of Pediatric Dentists, founder and president of Healthy Mouth Healthy Child, November 2011. Soften up. Use soft-bristle brushes and don’t scrub too hard. Approach at an angle. Aim brush toward the gum line and use short, back-and-forth strokes. Give equal time to each tooth, including those hard-to-reach molars. Go above and beyond. Brushing after each meal is ideal. The longer food cozies up to your teeth, the more likely it will cause plaque. Favor fluoride. Make sure your toothpaste contains a tooth decay fighter. Tap water has added fluoride, so opt for it instead of bottled whenever it’s safe. Change it up. Replace your brush every 3 to 4 months. With daily use, bristles wear out and become less effective. Just 5 minutes twice a day and regular checkups every 6 months will help more than your smile. Your teeth and gums speak volumes about your health — heart disease, diabetes, premature birth, leukemia, eating disorders, and vitamin deficiencies can be detected simply by opening wide. A healthy mouth could mean a healthier you. Chew on this. Healthy gums keep your teeth in place and your smile beaming. Evidence shows that poor dental habits are linked to heart disease and other health problems, so there’s nothing wrong with playing it safe — especially when good oral hygiene has so many other benefits. Breathe easy. 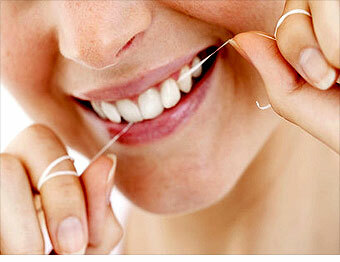 If you’re self-conscious about bad breath, a nightly date with dental floss could help. Removing food debris reduces bacteria buildup that can cause the fire-breathing dragon to come out. Don’t stop on red. If your gums bleed, it may be a sign of gingivitis, which means you should keep it up to improve or reverse the disease; you’ll notice less and less bleeding over time. Start them young. Floss children’s teeth for them until they have the dexterity to do it themselves. An early habit is more likely to last. For the best results, make sure you’re using proper technique. Talk to your dentist or check out instructions from the American Dental Hygienists’Association. As parents, we often struggle to feed our kids healthy foods, especially picky babies and toddlers. While we often focus on foods that are good for their overall health and nutrition, we must also consider snack and food options that contribute to their dental health. Drinks: When it comes to drinks, milk and water are ideal. If your child wants juice, try to limit to one 4-6 oz, serving with a meal. Another option is to pour only half juice and the rest water – this will cut their sugar intake by half and leave less sugar remnants on the teeth and gums. Although sippy cups can seem like the greater invention on earth, be careful not to allow a child to slowly consume milk or juice form their sippy throughout the day. It is best for a child to “chug” their fluids, outside of water. Sipping for a long period of time will leave residue in the mouth and around the teeth, and will be harmful to little teeth down the road. Snacks: Avoid sticky snacks as much as possible, such as dried fruits, fruit snacks and leathers, gummy vitamins, etc. if your child does indulge in a sticky treat, follow with a prompt brushing. While it may seem like your children are always hungry, at times try to avoid allowing little ones to graze. It is best to limit healthy snack times to a few per day, rather than munching on Goldfish and crackers once her, and another there, turning into on all day snack fest! Not only is what your child eats important, but the frequency and duration they consume is equally impactful. Alternatively, there are lots of great food kids should eat often. Dairy products can fight plaque and contain calcium, strengthening teeth. Cheese sticks are a great snack food that can help cut the risk for cavities. Citrus fruits stimulate saliva production, which can help give the mouth a little shower. And water is the best drink of all – good for their bodies and for their teeth. Moderation is key. Establish good habits early on and your family will have plenty of reasons to smile. Ludwig’s angina, a potentially life-threatening infection of the floor of the mouth, usually starts with a dental infection caused by poor oral health and can cause a person’s airway to swell shut. Although more common before the introduction of antibiotics, cases of Ludwig’s angina still show up in today’s emergency rooms. In addition, heart infections have been linked to dental infections, and gum disease has also been linked to adverse pregnancy outcomes and a higher risk of heart attack or stroke. The simple solution? Brush and floss your teeth and see a dentist on a regular basis. Maintaining oral health is a relatively simple thing. It’s so cost-effective. Why would you want to expose yourself to the risk of all the possible adverse outcomes? How did you discover this gene? Dr. Newman: The scientists at Medical Science Systems have been discovering and researching the cause of gum disease for many years. Since gum disease is an infection, we looked to find out whether or not people have a different response to infection or plaque around their teeth. We determined that infection response is genetically controlled. So we went to some of the world’s leading scientists and ended up with a collaborative arrangement with Dr. Gordon Duff at the University of Sheffield in England. He is a world-renowned scientist who studies different aspects of inflammation. It’s through our work with Dr. Duff that we discovered this genetic marker for susceptibility to gum disease. Then you came up with an easy way to find out if you have it, right? Dr. Newman: Yes, we did. It is extremely easy. It requires a little finger stick to get two drops of blood, which go on a little post card. The post card is then sent to a licensed central laboratory. The test results are received by the doctor as well as the patient in about two weeks. Dr. Newman: About 30 percent of the population carry the gene. What is it about the gene that causes gum disease? Dr. Newman: The gene tells us how responsive, how susceptible you’re going to be to the plaque that grows on your teeth. If you carry the gene, your body is very susceptible to the normal plaque that grows on your teeth. So what happens is plaque grows on the teeth. If you’re one of those people who has a super response to plaque, you’re going to get a lot of inflammation. If you get a lot of inflammation, you can end up with gum disease. 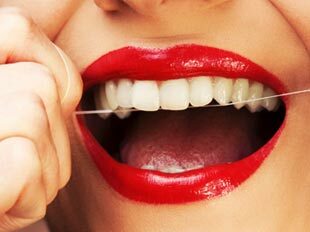 If you carry the gene, how high is your risk for getting gum disease compared to the general population? Dr. Newman: Carrying the gene gives somebody a six to 19 times higher chance for getting gum disease. I would like to put that into perspective. We all change our lifestyle around the fact that high cholesterol is a risk factor for heart disease. Most studies have shown that high cholesterol gives you a two and a half times higher chance of having heart disease. Whereas if you have the gene for gum disease, it’s called the PST gene, it gives you a six to 19 times higher chance of having gum disease progress to become serious. Should everybody have the test done if it’s that simple? Dr. Newman: Just about every person who has any signs of gum disease should have the test done, because it’s a once in a lifetime test. It tells you and the doctor which road you’re going to be going on. Are you going to be on the resistance road to gum disease, or are you going down the road that’s going to make you look over your shoulder and be very cautious about brushing your teeth and getting regular care? How would your treatment differ if you find out you do carry the gene? Dr. Newman: What’s really good about this is that the treatment procedures themselves don’t differ at all. It’s the intensity and the frequency of the procedures. In fact, if you have early signs of gum disease, and you turn out to be genetically susceptible, what you have to do is simply turn up the attention and intensity of your own personal oral hygiene care as well as go to the dentist more regularly. If you do that, gum disease is treatable and preventable. How early do you have to get it? Dr. Newman: You can get the test at any age because the genetic make-up that you have is given to you at birth. So you can get the test done at any age of life. Usually adults are the people who begin to show signs of gum disease, and that’s probably the best time to get it. So after age 35 for most people. How early do you need to catch gum disease before you can do something about it? Dr. Newman: The earlier the better. Is it going to be a part of everybody’s routine exam some day? Dr. Newman: We believe so. This test along with other tests will help doctors and patients know what they’re made of and what they can do about various time bombs that lurk out there for them. We think this will be a part of regular checkups and tests. We think there’s a very valuable place for this for children of people who have gum disease as well. Knowing that your child is susceptible to gum disease will alert you and them to be vigilant and to institute good prevention measures, which have the best chance of working before it even starts. Any risks or anybody you would say shouldn’t have it done? Dr. Newman: There are no known risks to having your finger pricked to get blood tests. There has been some concern about insurance and about the government knowing what your genetic make-up is and things like that. Last year, President Clinton signed a bill which prevented employers from discriminating against any information derived from genetic testing. Many states in the United States have passed independent laws which strongly prohibit insurance companies, employers and government agencies from discriminating. In Europe, they are extremely strict about discrimination. What does this mean for us down the road? Dr. Newman: This means we have an opportunity to catch a very common disease, which has implications in causing heart problems, premature birth weight and perhaps other systemic diseases that we don’t know about. This will help us become healthier and live a better life and have our smiles forever.